Fwj dtz htrnsl yt ymj Sjb Djfw'x ufwyd? 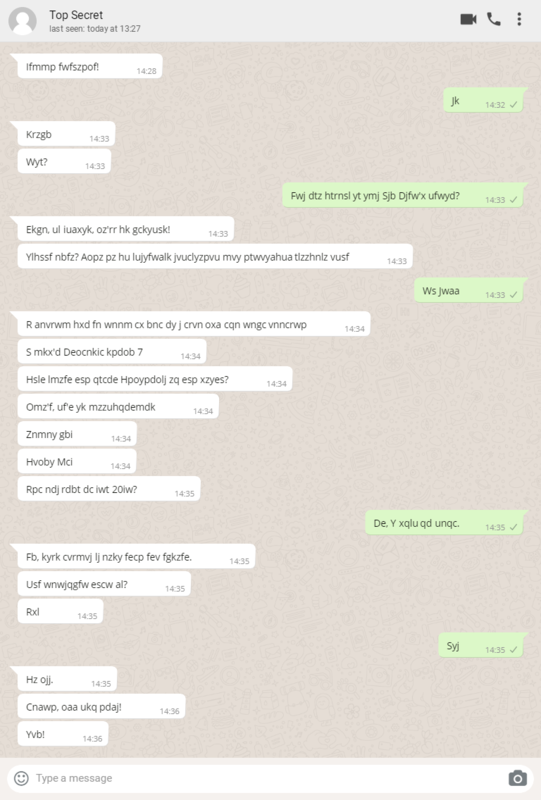 Ekgn, ul iuaxyk, oz'rr hk gckyusk! Hsle lmzfe esp qtcde Hpoypdolj zq esp xzyes? Rpc ndj rdbt dc iwt 20iw? De, Y xqlu qd unqc. Fb, kyrk cvrmvj lj nzky fecp fev fgkzfe. Can you decrypt the messages and find when the spies are meeting? 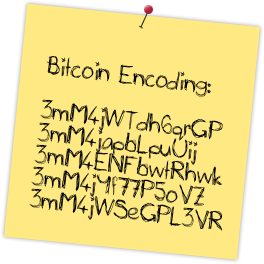 Our intel says that each line in the note indicates a different time, possibly for the meeting, but we still need to decode it first. Are you coming to the New Year's party? Yeah, of course, it'll be awesome! What about the first Wednesday of the month? Can you come on the 20th? No, I have an exam. Ok, that leaves us with only one option. I can assume that the "current date" is in Decembers as they are anticipating a New Years party. I am also guessing that it is before December 20th since that date is still in the question. 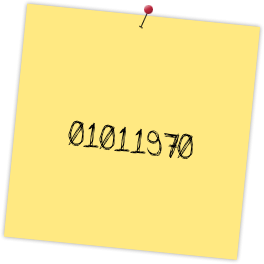 The number 01011970 is reffering to the starting date of the Unix time, or POSIX time, 1970. 01. 01. UNIX time is measured as seconds elapsed since this specific date. New Year's party is off, so not December 31. Tuesdays after 7 pm are off, so not January 9. Not the first Wednesday of the month, so not January 2. The 20th is off, so not January 20. Not the answer you're looking for? Browse other questions tagged cipher knowledge or ask your own question.